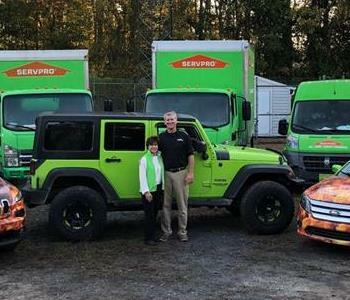 Meet the crew from SERVPRO of Bath/Roanoke Rapids. Our owners, John and Cindy Baldwin have over 30 years experience as General Contractors. Say hello to Jennifer! She is our Marketing & Sales Representative for SERVPRO of Roanoke Rapids. Jennifer has lived in Roanoke Rapids all her life and loves the area. She enjoys going to the beach, fishing, and hunting. Jennifer has one daughter and a 3rd grandson on the way. 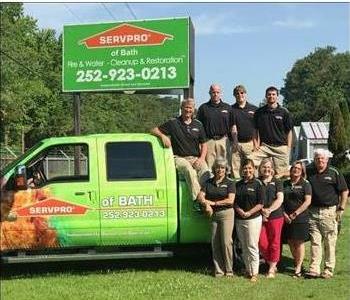 John Baldwin is the franchise owner at SERVPRO of Roanoke Rapids in North Carolina. John's strong drive and attention to detail makes him a valued leader. He emphasizes the importance of listening skills, customer service, and exceeding our customers’ expectations. John has completed rigorous training including IICRC Water Restoration, Microbial Remediation, Oriental and Specialty Rug Cleaning, Oder Control, Fire Restoration, Mold Remediation, and Lead Safety for RRP. John also has previous experience as a Luxury Home Builder and President of Baldwin Home, Inc.
John's hobbies could be summarized by fast boats and fast cars, but above all he loves spending time with his 5 children and 8 grandchildren. 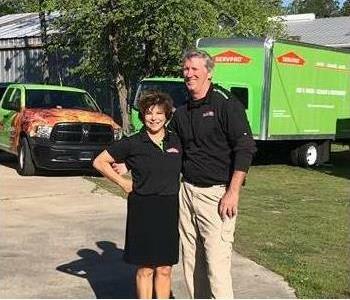 Cindy is the franchise owner at SERVPRO of Roanoke Rapids in North Carolina. Cindy is a wonderful example to her employees of hard work and determination. She emphasizes the importance of listening skills, customer service, and exceeding our customers’ expectations. Cindy has completed training in IICRC, Water Restoration, as well as, Mold and Subrogation. 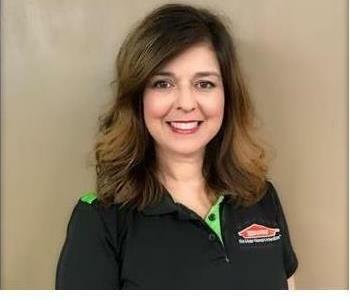 Prior to purchasing a SERVPRO franchise three years ago, Cindy was the Vice President of Baldwin Homes, Inc and a Luxury Home Builder for 24 years. Cindy loves to spend time with her 5 children and 8 grandchildren. She loves hiking, riding her bike, and enjoying nature. Cindy also is a wonderful community leader. She never misses an opportunity to help a neighbor and is always the first to volunteer to service her community. Meet out Operations Manager Dana Brooks. 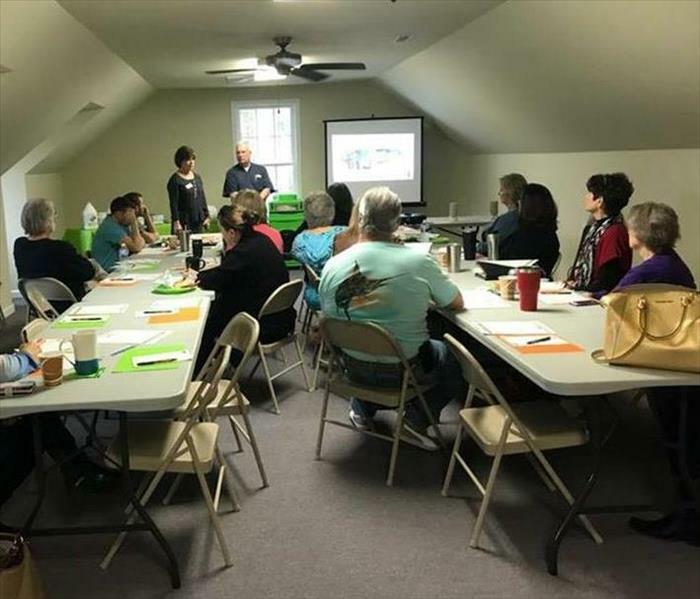 Dana joined SERVPRO of Roanoke Rapids in April of 2016 to help organize a successful team, provide and ensure excellent customer service, and to create a productive and enjoyable work environment. She has done an excellent job! She has successfully completed two years of fire, mold, and water restoration projects. 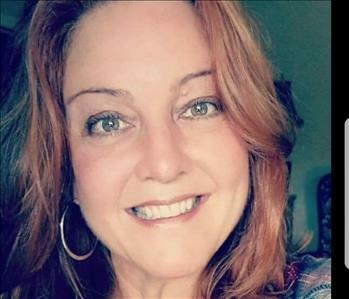 In Dana’s free time she enjoys event planning, all things that involve decorating with flowers, the exciting adventure of being a mom of two sons, experiencing life with a husband, boating, fishing in the Big Blue Ocean, creating new items from things of the past, and laughing with family and friends!